I saw an article on HTML5 drag and drop and wondered how hard it would be in XPages. So once again – back to using dojo selectors to get what we want. 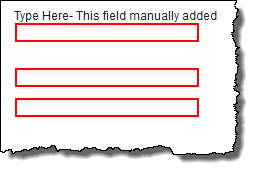 In the simplest terms we want to make our form look like the “label” is inside the field – here’s an example I am sure many of you are familiar with. 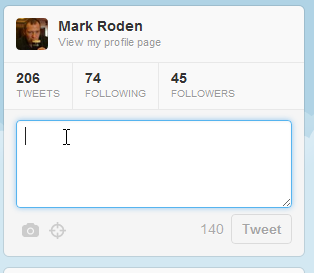 The general concept is that instead of having the label adjacent to the field, the “Compose new Tweet” is inside the field itself and disappears once you click in the field. How do we add Labelify to our XPages? 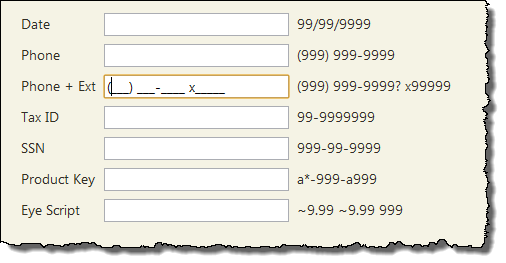 This effect works on an XPage where the labels and fields are generated by dragging and dropping the fields from a data source. 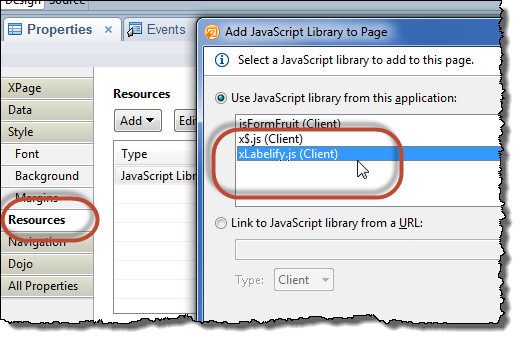 How this works will be broken down later..
jQuery in XPages #2 – Labelify.js – How does it work? The xLabelify.js library is based on the original labelify.js created by Stuart Langridge. 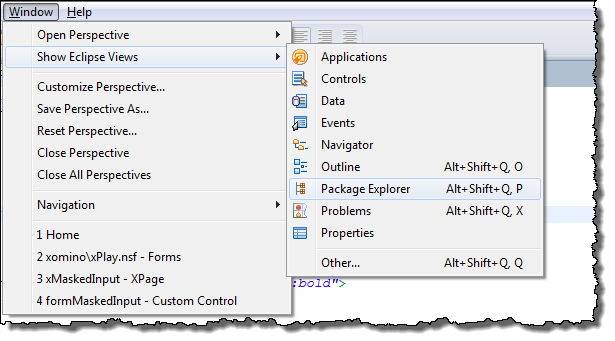 I have made a couple of modifications to the library to make it work in our XPages environment. 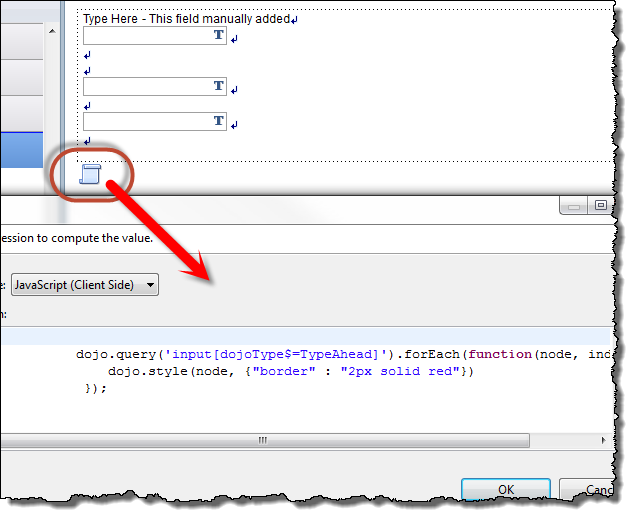 Here is the breakdown of how it works……..
For more information on extending jQuery check out the (website). But in a nutshell, jQuery was envisioned to be extended so that anyone could use the basic jQuery selector to create a collection of objects in the DOM and then process them however they wanted. 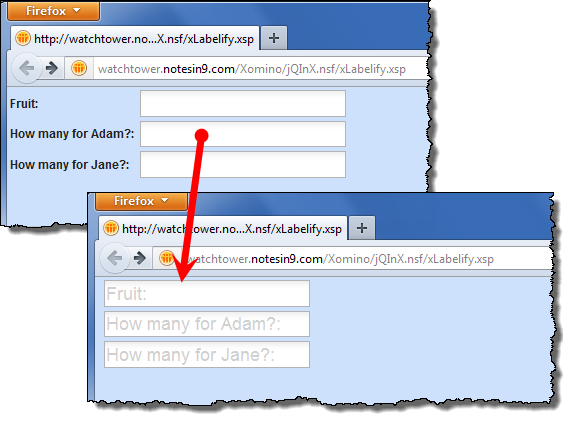 (If we wanted to be more specific and wanted to select only the labels within a certain panel (rather than the whole page) or if we wanted to select individual elements by name/id we could do that too). 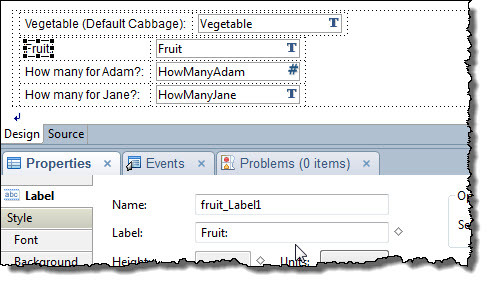 The example below (using x$) selects just the fruit4 field. I have annotated the code so that you can understand what makes this effect work. It is also a nice short look inside a jQuery extension. It is really quite elegant in its simplicity. //extend jQuery with the function name "labelify" and it will receive the array called "settings"
//we are setting the lookup variable for each of the elements which are within "lookups"
lookup = lookups[settings.text]; // what if not there? lookup = settings.text; // what if not a fn? //This function is called onSumit and means that if the deveoper validates for ""
// user already started typing; don't overwrite their work! Some interesting jsPerf tests have shown that in this case in some browsers jQuery is actually slower than setting attributes in the DOM manually. 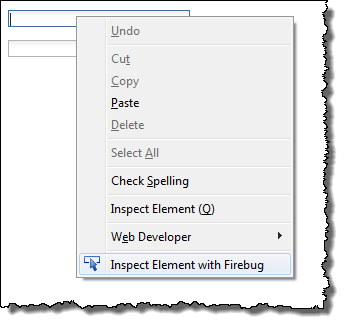 Still both are more efficient than creating variables in memory or new DOM elements via document.createElement. Where does the label come from then? 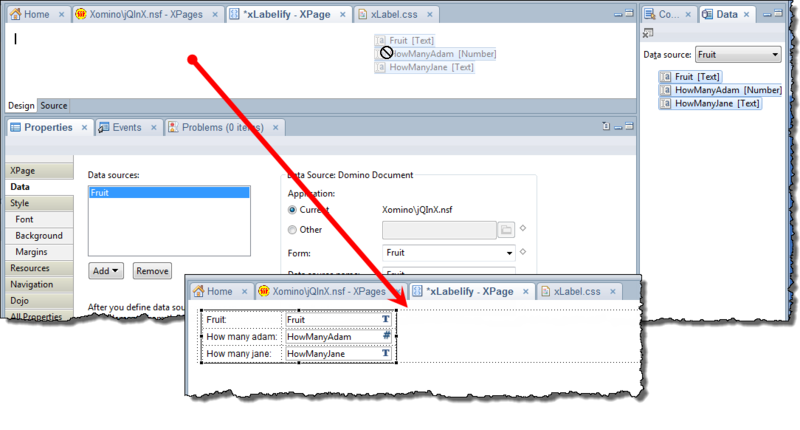 So out of the box, XPages has provided us the constructs for us to labelify the fields without write more code.